Finally, being a commercial company, the Albyn Line also took the opportunity to deliver two sets of rolling stock to Egyptian Railways - each comprising an 0-6-0 Railway Engine, one Tender and one Water Carrier - all six items being carried as deck cargo. Because of her classification as an "Armed Freighter" the Skipper - Captain William Ellis, had an additional team of nine Royal Navy personnel on board to man these guns. Thus it was that on 2nd June 1941 Captain Ellis ordered the mooring lines slipped before easing his ship out of Glasgow. Sailing independently down the west coast of the British Mainland. The Thistlegorm made good time to Her secret rendezvous off the south coast of England. Here she joined a large convoy and, being Armed, was assigned a prominent position by the Convoy Commodore. With Axis Forces occupying almost all of the northern Mediterranean coastline, the safest route to Alexandria was via South Africa - a lengthy detour. After refuelling in Capetown, they were joined by HMS Carlisle - a Light Cruiser of 4,190 tons. The Convoy then proceeded up the east coast of Africa before finally entering the Red Sea. 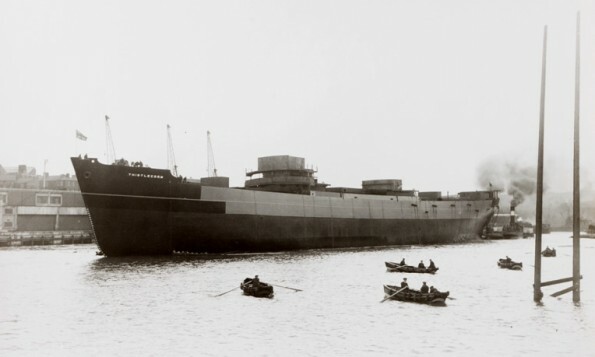 Launched in Sunderland in April 1940 the SS Thistlegorm was on her fourth voyage, carrying military supplies to Egypt, when she was bombed and sunk on the 6th October. By the time they arrived at the entrance to the Gulf of Suez it was the third week in September and the Thistlegorm was immediately assigned "Safe Anchorage F" to await further instructions. The Master let out the starboard anchor, some 250m of chain and was satisfied that all was well. This was "good holding ground" and, at long last, the main engines were closed down. All they could do now was wait for clearance to proceed through to Alexandria. 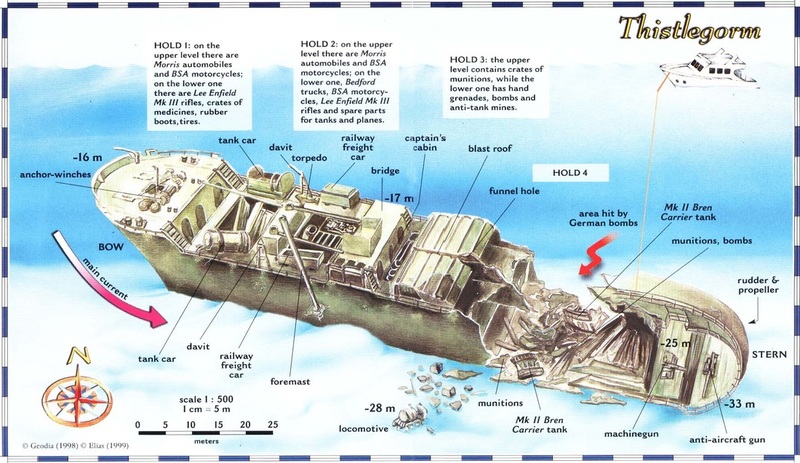 Getting through the Canal was dependent on several factors - enemy aircraft activity over the Canal, cargo priority and how long other vessels had been waiting. At this time, however, two vessels had collided further up the Gulf of Suez and were virtually blocking the entire entrance to the Canal. This led to "The SS Thistlegorm" - with her valuable cargo, remaining at anchor for a full two weeks. 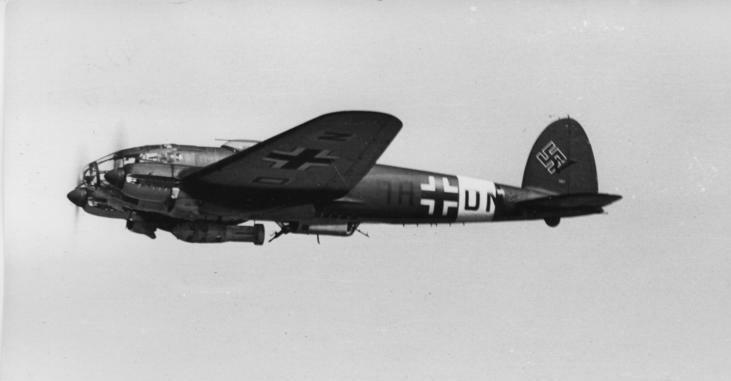 Having mastered the relatively new skill of night flying, Heinkel He 111's from II/Kg26 (No 2 Group 26th Kampf Squadron) based in Crete were alerted to the possible presence of such a large vessel. Their task was to seek and destroy. At 2250 hours on 5th October 1941 two twin-engine Heinkels crossed the north Egyptian coast heading south-east in search of this prize. Aided by a clear moonlit night, they searched in vain for the big ship until fuel levels became critical. Then, just as they were on the point of returning home empty handed, one of the pilots spotted a ship at anchor. Turning away in order to put his aircraft in the best possible attacking position, the pilot turned again as he continued to lose altitude. He came in low over the sea and, as he approached the bows of the Thistlegorm, he released two bombs right over her bridge. Both bombs penetrated No 5 hold - aft of the bridge, detonating a great deal of ammunition. The resultant explosion sent the two locomotives spiralling into the air as the ship was ripped open like a huge tin can. Even to this day, the rear decks are peeled back towards the Bridge leaving many a Diver wondering what exactly he is looking at. Some accounts have even described this as "Armour Plating!" The vessel began to sink and the crew quickly abandoned ship - with hardly any time to launch the lifeboats, most of them leapt straight into the sea. One injured man, however, was trapped on the blazing deck and desperately needed help. Crewman Angus McLeay wrapped some rags around his bare feet and ran across the hot steel plates to rescue him - an action for which McLeay was awarded the George Medal and Lloyd’s War Medal for Bravery at Sea. Caught unawares, the Thistlegorm had been given no time to defend herself and she quickly sank. It was timed at 0130 hrs 6th October 1941. Captain Ellis and the other survivors were rescued by HMS Carlisle and then taken to Suez where he reported four members of his crew of 39 and five of the 9 Royal Navy ratings had all lost their lives. Captain Ellis was subsequently awarded the OBE - for "War Services" by King George VI. Excerpt from ‘Shipwrecks from the Egyptian Red Sea’ by Ned Middleton.